Twitter has secret encryption feature on its Android app? Wouldn't it be great if Twitter had a feature that allowed users to send encrypted direct messages? That would turn the app into a place where you could send private messages without fear of the content being discovered, and put Twitter into a class with WhatsApp and Telegram. Wait a second, Twitter does have such a feature secretly cooked inside its Android app. 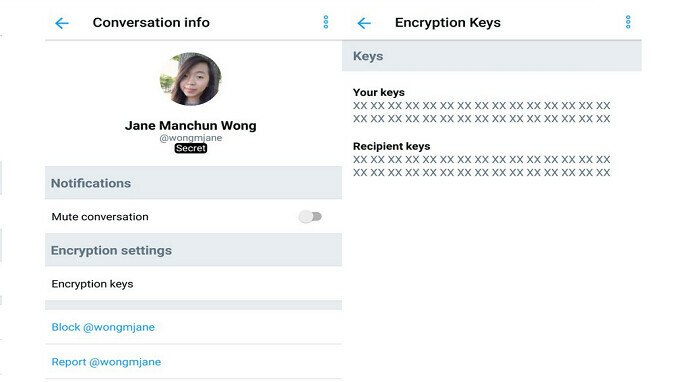 It was found inside the Twitter for Android APK by Jane Manchun Wong (@wongmjane), a computer science student who has discovered unreleased features on Instagram. We don't know when or if Twitter will unleash this beast of a feature, but it is already coded and ready to go. 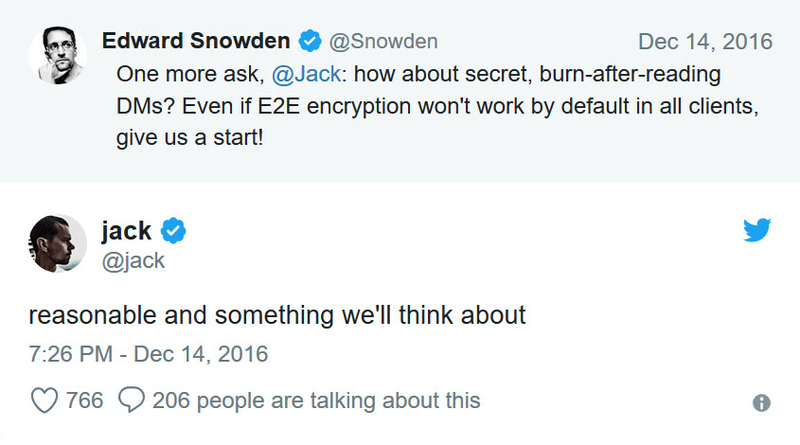 Interestingly, 18-months ago NSA whistleblower Ed Snowden sent a tweet to Twitter co-founder and CEO Jack Dorsey about adding self-destructing DMs to the app. He also brought up end-to-end encryption in the message. Dorsey tweeted back, "reasonable and something we'll think about." Well, obviously Twitter did more than just think about it, and according to Wong it is just a matter of pushing out an update. So why not roll it out now? At the very least, it might keep some Twitter users from having to go elsewhere to send messages that they want to keep private.